Do you have UKCAT questions? JobTestPrep has the answers. Read on to learn more about the UKCAT test. Ensure you are fully prepared by using JobTestPrep's expert help. Who needs to take the UKCAT? Is it possible to actually prepare for the UKCAT? How do I prepare for the UKCAT? When do I sit the UKCAT? Where do I go to sit the UKCAT? What does it cost to take the UKCAT? Am I allowed to sit the UKCAT again? How do I register for the UKCAT? When do I register for the UKCAT? When should I arrive to the test centre? Which forms of photo identification are acceptable? What do I do with my personal effects while I am taking the test? Am I allowed to take a break during the test? How long is the UKCAT test? Which universities require the UKCAT? What is the difference between the UKCAT and the BMAT? Do questions on the UKCAT increase or decrease in difficulty throughout the test? How is the UKCAT scored? Q: What is the UKCAT? A: The UK Clinical Aptitude Test (UKCAT) is a test used by medical and dental schools in the UK for admissions purposes. The material on the test is not based on scientific or curriculum material. Click here to learn more about the UKCAT. The UKCAT takes two hours and is completed on a computer. It is made up of five subtests (Quantitative Reasoning, Verbal Reasoning, Abstract Reasoning, Decision Making, and SJT). Q: Who needs to sit the UKCAT? 26 universities in the UK require applicants to sit the UKCAT in order to be admitted to medical and dental programs. 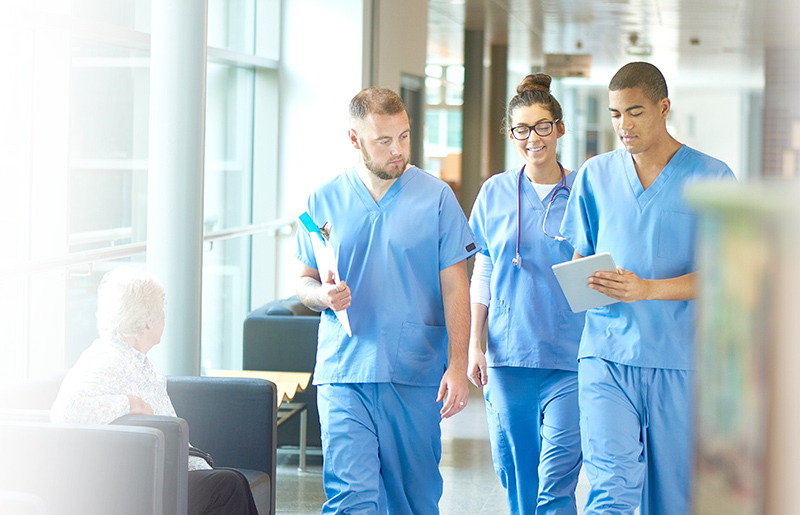 UK, EU, and international students interested in applying to these medical or dental schools must sit the test prior to submitting their UCAS forms. Q: How do I prepare for the UKCAT? Admission to medical and dental schools is very competitive. Therefore, it is very important to prepare. Make sure to set aside time everyday to prepare with JobTestPrep’s UKCAT practice pack. You can learn more about UKCAT prep here. Q: Is it possible to actually prepare for the UKCAT? A: The UKCAT is a test of application and understanding.Therefore, you can and should prepare and practise for it. Q: When do I sit the UKCAT? A: You may sit the UKCAT between 1 July and 5 October (subject to availability at your local Pearson VUE test centre). Taking the test early does have a a few advantages such as a reduced price during the summer months. Furthermore, during the summer months, you will be less distracted by the start of the term. Completing the UKCAT early also gives you time to reflect on your UCAS choices for universities before the deadline in October. Q: Where do I go to sit the UKCAT? A: The UKCAT is administered at Pearson VUE test centres. When registering for the UKCAT, you will be able to select the test centre of your choice. It is advisable to register early so that you will be able to sit the test at the most convenient centre for you. Test dates tend to fill up quickly. You may take the UKCAT at a Pearson VUE test centre that is convenient for you in one of the 73 countries in which the UKCAT is administered. When you are registering, the system will help you to find the closest centre based on your address. You may select up to four locations at once to see available dates and times. The closer to the deadline that you book your test, the less availability there will be. If you click on a date, you will then be able to see the available test times. Each centre will have different allocated times available from which you may select the time that is most convenient for you. You may also see all the available test times for a specific week. The test room at the test centre is a general purpose test room with many computers and people sitting tests. The test room is used for various tests with different start and finish times. If you have trouble concentrating in situations such as this, you may request headphones or earplugs. Q: What does it cost to sit the UKCAT? A: If you sit the UKCAT in the EU between 1 July and 31 August 2016, the cost is £65. UKCAT tests taken in the EU between 1 September and 5 October 2016 cost £80. All UKCAT tests taken outside of the EU cost £100. The reason for the increase in price after the summer months is due to the demand of that time of year. It is recommended that medical and dental school applicants sit the test during the earlier months (summer) and pay less. After you select the test date, time, and location, you will be able to enter bursary or discount information. Make sure to fill in your billing information and credit card details, and be sure to print out your receipt! Q: Am I allowed to sit the UKCAT again? A: Your UKCAT score is only valid for the application cycle during which you take the test. For example, if you sit the UKCAT in the summer of 2016, your scores will only be valid for admission in 2017 or for deferred entry in 2018. You are not permitted to sit the UKCAT test again during the same cycle. If you would like to re-sit the test, you must wait until the following year. Therefore, it is essential to come to the test prepared. Q: How do I register for the UKCAT? A: You must register in order to book your test. This cannot be done by a school or college; you must register yourself personally. To register for the UKCAT test, go to the UKCAT website and click on the second tab from the left (‘registration’). You will see a button on that page which says ‘click here to register’. This will take you to the sign in page. First time users will need to create a new account. (This involves filling out a basic form with your name, email, birthday, testing history, address, telephone number, and a short demographic form),. Returning users may log in using their login details in the box on the left. Q: When do I register for the UKCAT? A: UKCAT registration for 2016 opens on 3 May 2016 and closes on 21 September 2016 at 5 PM. It is highly recommended to register and sit the UKCAT test as early as possible to secure a spot in a local test centre. Every year there are applicants who book late and then encounter problems if they become ill or have other issues which prevent them from take the test. Q: What if I need to cancel or reschedule my test? A: Should you need to reschedule or cancel your UKCAT test, you may do so by managing your booking on your Pearson VUE account. You may do this until midday on 4 October 2016. If you arrive to the UKCAT test, you are officially declaring that you are able to take the test. If you are unable to take the test because you are ill or for other personal reasons, you must reschedule your test for a later day (note that you may lose your test fee). If you would like to change your test date from the summer months (July or August), when the price of sitting the test costs less, to the fall months (September or October), you must cancel your test and book a new one. You will receive a refund for the original booking and you will have to pay the higher rate for your new date. If you have a bursary voucher, you still need to cancel your booking, but you may use the same voucher code again. You may cancel or reschedule your test up to 'one clear day' before the date on which you are scheduled to sit the test. The UCKAT consortium defines 'one clear day' as not including the day of cancellation/rescheduling or the date on which you were scheduled to sit the exam. When 'one clear day' notice is provided, you will be refunded. If cancellation occurs later than this, you will be marked as a 'no-show' and will be charged for sitting the test. Additionally, if you decide to take the test at a later date, you will be required to pay to register a second time. The UKCAT consortium advises that if you are unwell that you reschedule your test. However, the ‘one clear day’ policy also applies for illness. In the event you miss your test for whatever reason and you have not rescheduled it in time, you will have to schedule another test and pay for it yourself. This policy applies in the event of an emergency, arrest, illness, accident, transportation issue, security, tardiness, forgetfulness, or arriving to the test centre with invalid or inadequate identification. Q: When should I arrive to the test centre? A: The UKCAT consortium notes that you must arrive at the test centre 15 minutes before your test time so that you can complete the check-in procedure. This includes filling out any paperwork, storing your belongings in the locker, getting a final drink of water, and/or taking a trip to the toilet before the test begins. If you arrive late to the test centre, you may not be able to sit the test that day, and you will be marked as a ‘no show’ This means you will need to pay again to register for a new test. Tip: A few days prior to your scheduled UKCAT test, drive to the test centre so that you know exactly where to go on the day of the test. If you are unable to do so, be sure to find out the best way to get to the test centre. In addition, you should leave for the test early so that you are not pressured for time upon arrival. You do not need to bring anything else with you as you can’t take any personal belongings into the test room. This includes food or drink. You will be provided with a computer on which you will be able to sit your test as well as three laminated noteboards and a permanent marker. The board is not erasable so in the event that you need another one simply raise your filled noteboard in the air and a new one will be provided to you. In the event that you are not provided with a noteboard and a permanent marker simply raise your hand and request one. JobTestPrep would like to remind you that you are permitted to have the noteboard and marker; however, if it is not provided to you it is your responsibility to request one. Not having one throughout the test might have negative effects on your test result, and this will not be considered an extenuating circumstance by the UKCAT. Q: Which forms of photo identification are acceptable? A: Your photo ID card must be on the UKCAT’s approved list. Failure to provide an approved photo identification card will result in you not being able to take the exam. Instead, you will have to reschedule and pay for a new test slot. The information you provide must match the information you put into the system when you registered, including your full name and date of birth. If they do not match, you must notify your test centre at least five business days before your test. Make sure the identification documents that you provide are the originals and that they are signed and up-to-date. The headteacher or a senior member of staff must sign this form. The letter must contain the school stamp (which should also cover part of the photo). This document must also be signed by the applicant. Be sure that the photo used can be easily recognised as you and is clear. Those taking the test in the Asia Pacific region must bring an original, current, and signed passport. No other form of ID is acceptable. If you will be taking the test in the US, Canada, or another location in the Americas, you must bring an original, current, and signed passport or an original, current, and signed driver’s license that has been issued to you by your state or province’s Department of Motor Vehicles. Q: What do I do with my personal effects while I am taking the test? A: You may not bring your personal items with you into the test (including water or other beverages). You will be assigned a locker in which you can store all of your personal belongings when you arrive at the test center. JobTestPrep advises that you wear layers when sitting the test as jackets, scarves, and other outerwear will not be allowed inside the test room. Q: Am I allowed to take a break during the test? A: There are no breaks allocated into the test time, and the test will run from start to finish without any pauses. If you do really need to take a break, then raise your hand to be escorted out the the test room. However the test will continue without you, so it is best to try and avoid breaks as much as possible. Q: How long is the UKCAT test? A: The test is two hours long from start to finish. Each subtest follows on from the one before without a break. You may take a break during the test, but the time will not stop, and given the time pressure of the test, a break is unadvisable. Take a mock test before the real test so that you can experience the timing and pacing of the test. Q: Which universities require the UKCAT? A: There are 26 universities which require candidates to take the UKCAT in order to apply to their medical and dental programmes. Check out the list of universities requiring the UKCAT here. Q: What is the difference between the UKCAT and the BMAT? The BMAT is used by some university medical and/or dental programmes for admission purposes instead of the UKCAT. The BMAT is different from the UKCAT in that it requires you to have prior knowledge of the sciences and mathematics in order to perform well on the test. The UKCAT contains four cognitive subtests (Verbal Reasoning, Quantitative Reasoning, Abstract Reasoning, and Decision Making) and one non-cognitive subtest (the Situational Judgement Test). Unlike the BMAT, the UKCAT assesses your mental abilities without prior subject knowledge. It is designed to measure mental capacity and the personality traits considered important for a career in the medical field.These capacities and traits include logical reasoning and critical thinking skills. Q: Do questions on the UKCAT increase or decrease in difficulty throughout the test? A: There is no way to predict the difficulty level of the next question. The UKCAT allocates questions at random from a bank of thousands of questions.Therefore, the difficulty of each question will vary, regardless of order. If you find a question extremely difficult, flag it and go back to it when you reach the end of the section. Remember to go back to it as you do not lose points for incorrect answers. Q: How is the UKCAT scored? A: The 2016 UKCAT scores range between 900 - 2700. Each of the four cognitive sections* of the UKCAT are scored from 300-900. The average score is about 660 per section, making any score above 700 in each of these sections competitive. *Note that the new Decision Making section will not be included in your overall score during the 2016 UKCAT testing season, and it will not be submitted to the universities to which you apply. Negative marking is not used when scoring the UKCAT, and therefore you will not lose points if you answer a question incorrectly. If you do not know the answer to a question, it is better to guess than to leave the question blank. You will not be penalised if your answer is wrong. The SJT section is scored in Bands, with Band 1 being the highest and Band 4 being the lowest. These bands indicate the extent to which your responses match the responses determined by a panel of medical experts. Read more about UKCAT SJT scoring here.